Trimiti Moebius Design Pty Ltd is not responsible, if information made available on this site is not accurate, complete or current. The material on this site is provided for general information only, and should not be relied upon or used as the sole basis for making decisions without consulting primary, more accurate, more complete or more timely sources of information. We reserve the right to modify the contents of this site at any time, but we have no obligation to update any information on the site. You agree that it is your responsibility to monitor changes to the site. All content on this site (including but not limited to, code and software, text, designs, graphics, logos, icons, images, audio clips, downloads, interfaces) is the exclusive property of and owned by Trimiti Moebius Design Pty Ltd, its licensors, and/or its content providers, and is protected by copyright, trademark and other applicable laws worldwide. You may access, download, store, display on your computer, view, listen to, copy, and print the materials and content that Trimiti Moebius Design Pty Ltd publishes or broadcasts on this site or makes available for download through the site for your personal, informational and non-commercial use, provided you do not modify or delete any copyright, trademark or other proprietary notice appearing on the material you access, copy, download or print, and further provided that you do not distribute or transfer such materials and content. Any other use of content on the site, including but not limited to the modification, distribution, transmission, uploading, licensing, or the creation of derivative works from, any material, information, software, products or services or portions thereof obtained from the site, is expressly prohibited. Trimiti Moebius Design Pty Ltd, its licensors and/or content providers currently retain and shall retain full and complete ownership and title in and to the materials provided on this site, including all enabling software rights thereto, and provide this material to you under a license that is revocable at any time in Trimiti Moebius Design Pty Ltd’s sole discretion. Trimiti Moebius Design Pty Ltd neither warrants nor represents that your use of materials on this site will not infringe the rights of third parties. You acknowledge that you are responsible for any material you may submit via this website, including but not limited to the legality, reliability, appropriateness, originality and copyright ownership of any such materials or content. You may not upload to, distribute or otherwise publish through this site any materials or content that: (i) are false; fraudulent; libellous; defamatory; abusive; obscene; threatening; or otherwise objectionable; confidential; infringing or invasive of privacy or publicity rights; infringing on enabling software rights; abusive, and/or illegal; (ii) may constitute or incite a criminal offense; violate the rights of any party; or otherwise give rise to liability or violate any law; or (iii) may contain software viruses, worms or any other form of malware; political campaigning; or chain letters; mass mailings; or any form of “spam.” You may not use a false email address or other identifying information, impersonate any person or entity or otherwise mislead as to the origin of any materials or content. You may not upload commercial content onto the site. Except where otherwise expressly provided, this site and all materials and content therein are provided on an “as is” and “as available” basis. Trimiti Moebius Design Pty Ltd hereby expressly disclaims all warranties of any kind, whether express or implied, including but not limited to the implied warranties of merchantability, fitness for any particular purpose, or non-infringement. 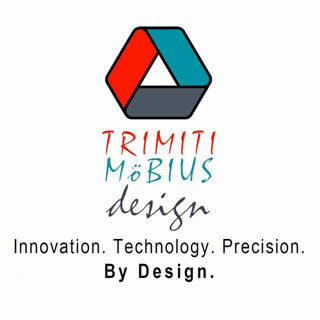 Trimiti Moebius Design Pty Ltd makes no warranty that the site, materials and content will meet your requirements, will be available on an uninterrupted or secure basis, or that the quality of any materials or content obtained by you on or through the site will meet your expectations. In no event and under no legal or equitable theory, whether in tort, contract, strict liability or otherwise, shall Trimiti Moebius Design Pty Ltd be liable for any direct, indirect, special, incidental or consequential damages arising out of any use of the information contained herein, including, without limitation, damages for lost profits, loss of goodwill, loss of data, work stoppage, accuracy of results, or computer or software failure or malfunction. You specifically acknowledge and agree that neither Trimiti Moebius Design Pty Ltd nor its suppliers shall be liable for any defamatory, offensive or illegal conduct of any user of the site. Your sole and exclusive remedy for any of the above claims or any dispute with Trimiti Moebius Design Pty Ltd is to discontinue your use of the site. You and Trimiti Moebius Design Pty Ltd hereby agree that any cause of action arising out of or related to the site must commence within one (1) year after the cause of action accrues or the cause of action is permanently barred. This website features logos, brand identities and other trademarks and service marks (the “Marks”) that are the property of, or are licensed to Trimiti Moebius Design Pty Ltd, its licensors, and/or content providers. All Marks are the property of their respective owners. Nothing contained on this site should be construed as granting, by implication, estoppel, or otherwise, any license or right to use any Mark displayed on this site without written permission of Trimiti Moebius Design Pty Ltd or any third party that may own a Mark displayed on the site. Trimiti Moebius Design Pty Ltd reserves all rights not expressly granted in and to the site and its content. This site and all of its content, including but not limited to text, design, graphics, interfaces and code, and the selection and arrangement thereof, is protected as a compilation under the copyright laws of Australia and other countries. As a convenience to visitors and users, this website may link to other sites owned and operated by third parties and not owned or maintained by Trimiti Moebius Design Pty Ltd. However, even if such third parties are affiliated with Trimiti Moebius Design Pty Ltd, Trimiti Moebius Design Pty Ltd has no control over these linked sites, all of which have separate privacy and data collection practices and legal policies independent of Trimiti Moebius Design Pty Ltd. Trimiti Moebius Design Pty Ltd is not and shall not be responsible for the materials or content of any linked sites and does not make any representations regarding the content or accuracy of materials or content on such sites. Accessing and using such third party sites is entirely at your own risk. This website may contain statements, estimates or projections that constitute “forward-looking statements” as defined under Australian federal securities laws. Any such forward-looking statements are inherently speculative and are based on currently available information, operating plans and projections about future events and trends. As such, they are subject to numerous risks and uncertainties. Actual results and performance may be significantly different from Trimiti Moebius Design Pty Ltd’s historical experience and our present expectations or projections. Trimiti Moebius Design Pty Ltd undertakes no obligation to publicly update or revise any forward-looking statements. The views and opinions expressed on any blog or comments section on our site are the personal opinions of the original authors, not of Trimiti Moebius Design Pty Ltd. The content is provided for informational purposes only and is not meant to be an endorsement or representation by Trimiti Moebius Design Pty Ltd or any other party.